NOTE — This sample is part of the downloadable distribution . 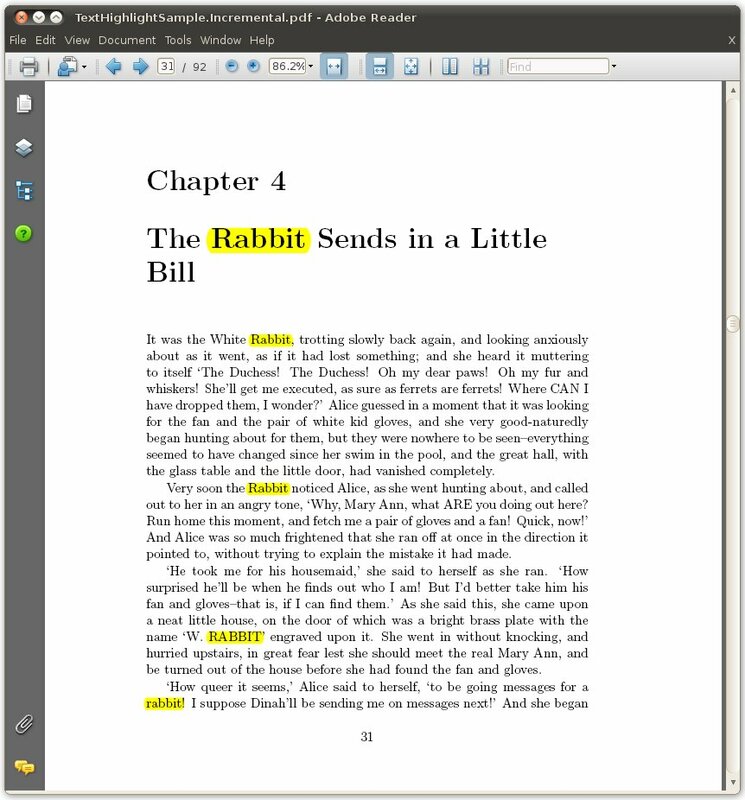 This sample demonstrates how to leverage the text extraction capabilities of PDF Clown in order to get the corresponding coordinates where to place text highlight annotations. // Define the text pattern to look for! // Extract the page text! // Find the text pattern matches! // Highlight the text pattern matches! so we have to define a distinct highlight box for each text chunk. // Highlight the text pattern match! More insights about text highlighting from its development process.